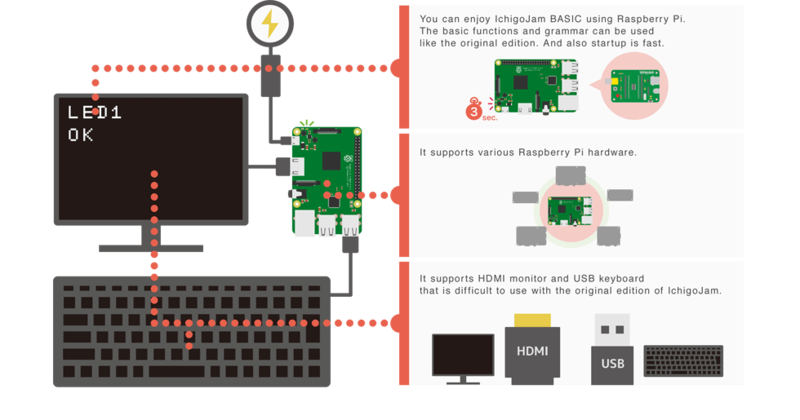 IchigoJam BASIC RPi is Raspberry Pi Edition of the software of the Kids PC "IchigoJam". IchigoJam was created to make it easy to enjoy programming in the BASIC language. It can also be used for electronics hobby by using functions such as digital I/O, PWM, I2C and UART. Detailed document is published on the following web site. IchigoJam BASIC RPi/RPi+ supports various Raspberry Pi hardware. And you can use HDMI display and USB keyboard. it can be used easily compared with other Raspberry Pi supporting OS. 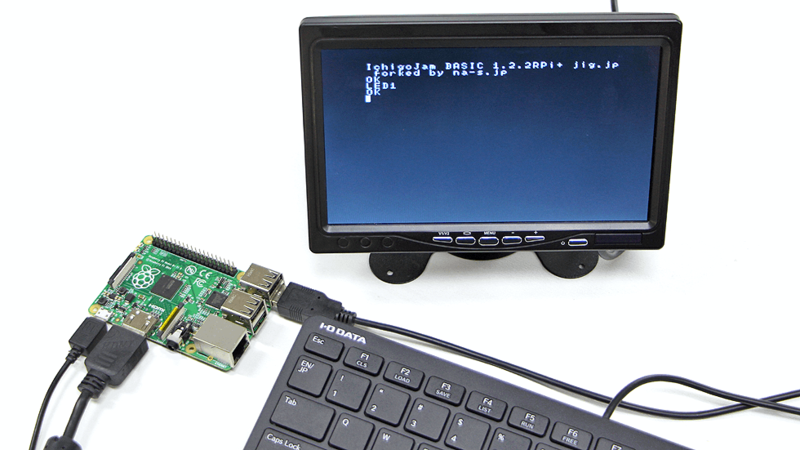 IchigoJam BASIC RPi can be obtained and used for free(*). 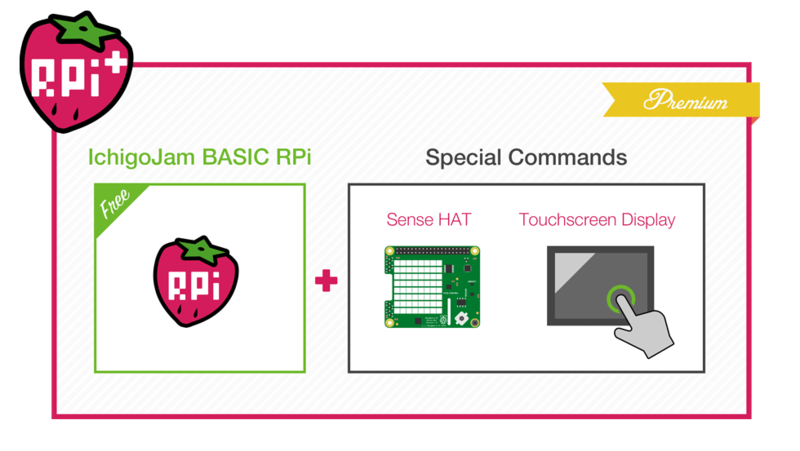 and Special commands that support Sense HAT and Touchscreen Display that are not in RPi are available. *Including the original (LPC1114) edition, When distributing IchigoJam BASIC software to a third party, it is necessary to purchase a license. For inquiries regarding IchigoJam BASIC RPi/RPi+, please contact below. IchigoJam is a registered trademark of jig.jp co., ltd.